The Grass Group supply to professionals engaged in the care, maintenance and management of turf and grounds. This includes applications such as Sport fields and other Pitch Care, Golf Courses, Lawn Bowls, Agricultural, Public Works and Municipal Grounds and Recreational Areas. As one of Europes premier turf care and management equipment suppliers our product range is extensive from vacuum sweepers/collectors, scarifiers, blowers, top dressers, turf harvesters, to mowers. In addition to the supply of these machines we offer a comprehensive range of parts and accessories to support all the major manufacturers. This includes a range of Tines and Bed Knives which are can be purchased online through our online shopping kart. 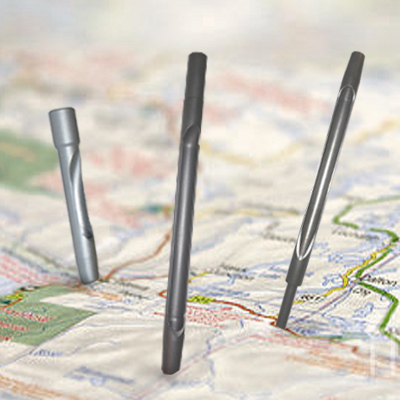 Our Tines and Bed Knives product range is exclusive to the UK and Europe. The Grass Group has an established partnership with US manufacturer Ceres Turf Inc. (CTI). With over 30 years of experience in the turf industry, CTI and The Grass Group are proud to offer the next generation of Tines and Bed Knives products underpinned by the strongest warranty in the industry. Together we are committed to providing new and unique products that will address the continually evolving needs of the turf industry. We maintain the highest standards of quality manufacturing with all production under taken within an ISO9000 protocol ensuring that each and every product has unparalleled quality.